Home » About Us » Our Physicians » Mohnish N. Ramani, M.D. Dr. Ramani attended the Stevens Institute of Technology in Hoboken, New Jersey after being awarded a four-year Stevens Academic Fellowship. A member of the Dean’s Honor List for all semesters, he graduated as an inductee of the Alpha Epsilon Delta Premedical Honor Society. He completed his medical studies at the University of Medicine and Dentistry of New Jersey (UMNDNJ) where he was inducted into the Alpha Omega Alpha Honor Medical Society. Dr. Ramani continued his post-graduate training at UMDNJ, completing his General Surgery internship and Orthopaedic Surgery residency. 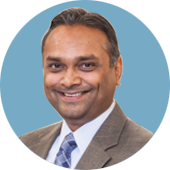 After 12 years of intensive education and training, Dr. Ramani continued at Thomas Jefferson University Hospital in Philadelphia as a Sports Medicine Fellow in the Department of Orthopaedic Surgery. During his fellowship he gained vast experience in management of athletic injuries of the knee, shoulder and elbow. His love for sports, combined with his academic pursuits brought him to specialize in Sports Medicine. As a physician, he excels at helping his patients overcome injury and return to their game. Dr. Ramani specializes in arthroscopic surgery of the knee, shoulder and elbow and provides general orthopaedic care. Dr. Ramani is a member of the American Academy of Orthopaedic Surgeons, American Orthopaedic Society for Sports Medicine and Arthroscopy Association of North America.